Hello. This is Saori Kobayashi. Right now, I'm hard at work on the solo album Brave Wave and I announced last year at BitSummit MMXIV in Kyoto. I'm creating this new album to symbolize my gratitude to people all around the world who listen to my music. The name of this album is TERRA MAGICA. Much of my past music has accompanied visuals of video games. I'd be asked by the director of the game to transform these visuals into what is ostensibly their "audio-equivalent." This music is then fed this into a story that's also been written ahead of time. When it comes to video game music, a world has been established for players to become immersed in, even before they have a chance to listen to the music. TERRA MAGICA is the complete opposite of what I've been involved with in the past. For my solo album, the music takes precedence over any story or imagery, allowing listeners to visualize a world that only I have created. I hope to create an album whose music will inspire listeners and give them complete control over what they see in realm of their own imaginations. I personally enjoy fantasy games and RPGs; worlds where dragons soar across the sky, and cosmos where a vast bed of planets lie scattered across... these images are my fantasies. What are yours? I hope that when people listen to my solo album, they conjure up their own worlds like I do as I compose with Brave Wave. I still need a little bit more time to complete this album, especially since I'm in Paris for Japan Expo in July, but I sincerely hope you're looking forward to it! 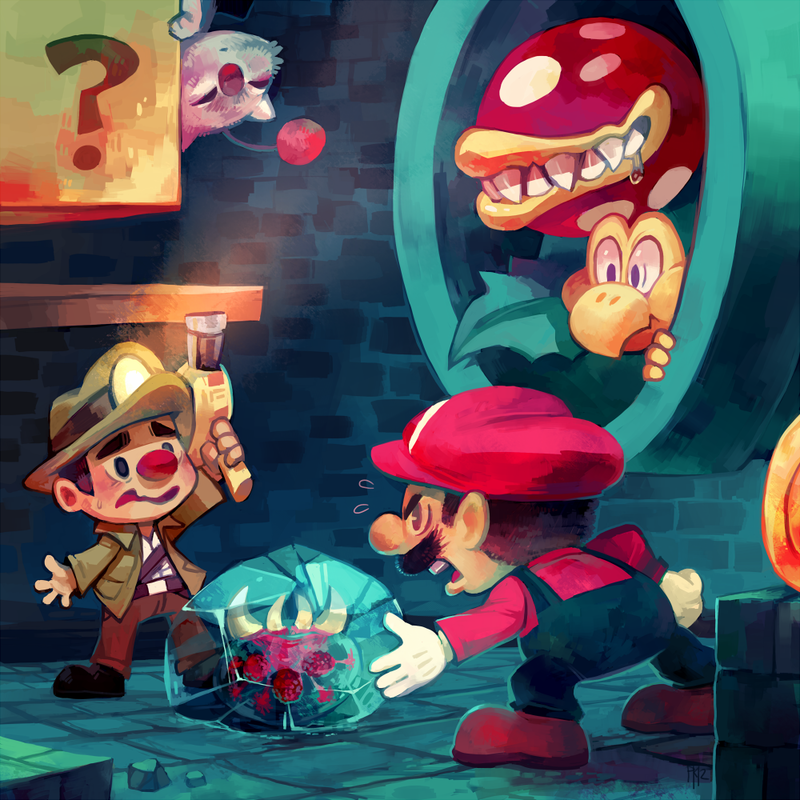 One year ago this month, in May of 2013, World 1-2 was released to what seemed to me as a roaring plaudit. It felt good. Partly because I had no expectations and I was simply having fun with what we created together — I just wanted to get out of my own bubble and see what people would think of this weird gigantic album that I made solely by emailing people and asking for permission. It's quite liberating to make something without prior experience in the field nor how things work, as intimidating as that could be. It made me smile to see World 1-2 winning a Best Remix Album award from VGMO, in a category that included Nobuo Uematsu, Square Enix, Capcom, and others. That was a nice surprise because the album wasn't aspiring to be anything other than itself: a project that kind of celebrates video game music and its immense diversity, by highlighting forgotten composers and brave remixers . I do realize that it shook things up and introduced new ideas and approaches, if I may say so myself, and I admire that people seem to get it when it comes to its purpose and intent. It was entirely made with pure love and child-like excitement, and that struck a chord with many. It certainly makes me happy. Looking back at it, World 1-2 was a people's album. I think. Lots of remixes, relatable video game art, an easy narrative to grasp onto (despite the intimidating track list). If you're a fan of video games, it's not hard to enjoy the album. There's at least a handful of tracks you'd love instantly, and that'll make you work your way through it. I've been moving away from its formula ever since and I wonder if that would resonate with people more. I mean, it's not easily relatable and I understand that. 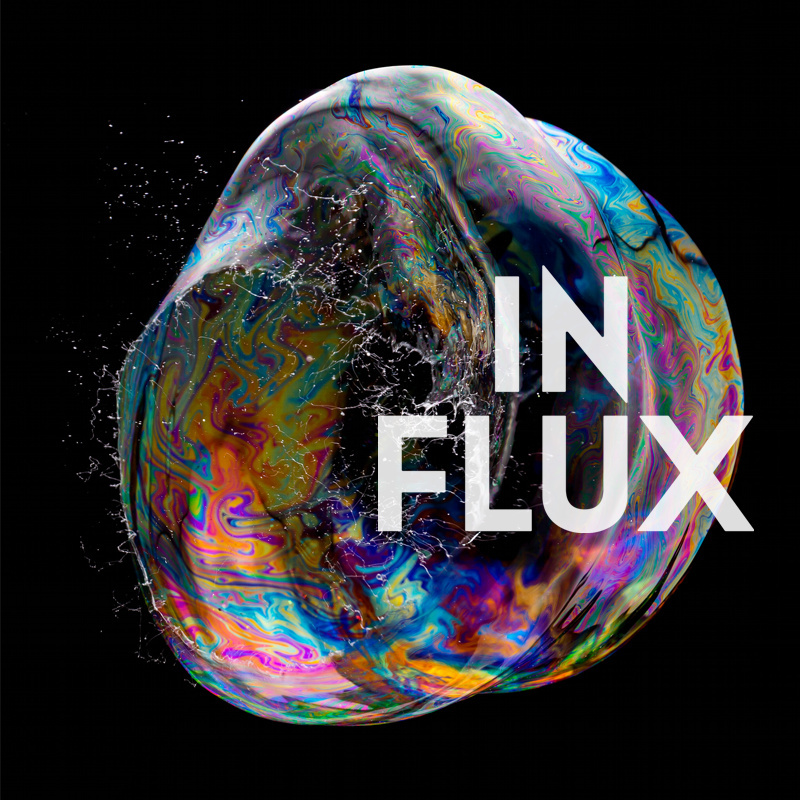 Starting with In Flux, I'm more interested in exploring new themes and weird ideas that seem super interesting to me, but are probably a bit more between the lines to people who aren't very invested in what I do with the label. No more mega remix albums like World 1-2 (except for client jobs) — only new ideas and initiatives. I still have one foot in the making side and another in the fan side, so I'm not totally absorbed with what I'm making yet; I'm not lost in my own sphere. I don't think that'll happen soon as well, because work doesn't exist in a vacuum, and delighting people is a very important goal to me: I care about making people delightful and excited with the stuff I make. But, I guess, my ego doesn't want to repeat the same trick. World 1-2 was novel; repeating it would be counter to the potential of my ability as a maker, and the broad range of ideas that Brave Wave is able to give birth to. I guess I'm thinking out loud. Well, in any case, please look forward to the few albums we're gonna be releasing in the next few months. I've been working day and night on Brave Wave and I'm very excited to let people finally hear the new stuff we're all working on. Keiji Yamagishi (of Ninja Gaiden) has been working on his album for a full year now. That's crazy. We're trying to implement so many things and that pushed us back a bit. But that's the album I've been waiting for all my life, the album that I waited for Keiji to make since first playing Captain Tsubasa 2 on my Famicom, and for that I'm giving it my utmost will and dedication. We all are. But let's talk about that some other time, when we have more to show you. Hello, this is Saori Kobayashi. I worked at Sega for 4 years, and then became a freelance music composer working on games, song arrangements, educational music arrangement, song composition, piano teaching and other music-related jobs. In 2003, I formed my own band unit, AKANE, which I’ve been earnestly doing since then. Recently, I’ve been working with Brave Wave Productions and making music with them. This relationship originated when I was working on the music for Crimson Dragon on Xbox One. I knew people from the dev team since my days working on Panzer Dragoon Saga and Orta. The director of Orta was one of them, and he introduced me to another person who had been at Land Ho (co-dev of Crimson Dragon) Alex, who is now Brave Wave’s CEO. In the summer of 2013, Alex introduced me to the director of Koopa Soundworks (now Brave Wave), Mohammed. I heard that he wanted to get in touch with me because I had done the soundtracks for Panzer Dragoon and wanted me to make a new song, and Alex was kind enough to translate. This project ended up being the album In Flux. Mohammed showed me the concept of the album, which I found very appealing, and was happy to work with him. That was a tough time of year for me, but I was able to make a song I was satisfied with called Shattered Moon. Mohammed and Alex were very happy with what I created. And after that, somehow they came to me with talks of creating a solo album without me even asking. This was something to welcome. I’ve been involved in game music for a long time, and I hear that people from outside Japan are supportive of my work as well. Working with Brave Wave allows me to make music aimed at those audiences, widen my horizons and get in touch with those people directly. This is quite an exciting thing to be a part of, and I’m moved by how wonderful this all is. I am really thankful to Brave Wave for this opportunity. 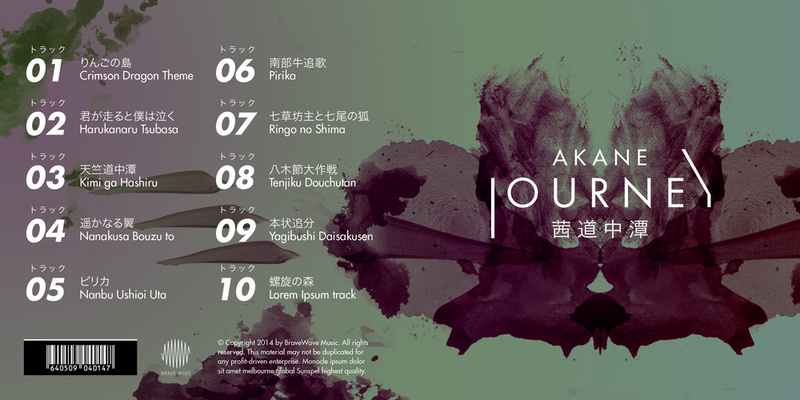 By the way, my band, AKANE, is also in the middle of making a new album. We are doing our best, so I hope Brave Wave staff and listeners enjoy what we create. For the time being, you can listen to a snippet of Pirika from our next album, previewed earlier by Mohammed in this blog. I’m looking forward to connecting more with listeners from outside of Japan. Thank you so much! We're currently working on a Japanese Bandcamp account for Brave Wave. Sadly, Bandcamp doesn't offer a native Japanese interface for Japanese customers, which means some of the text on the Japanese Bandcamp will still be in English. But everything editable will be presented in Japanese. It's not only to give our Japanese listeners a sense of place and understanding when buying, but also to offer a better way to deliver physical products: our main Bandcamp store ships from the US, while the new Japanese store will be shipping items from Tokyo, which means saving an upward of $14 on shipping. Alex recently quit his job so he could focus his attention and time on Brave Wave, and this is one of the things he'll be taking care of: shipping our physical items to our Japanese friends. This also means that the Japanese store will have a number of signed CDs exclusively there, eventually, and that excites me. I always wanted to sell signed CDs but couldn't do it for various reasons, and now we're one step closer. We're going to release Miyajima EP as a way to celebrate the launch of our coming-soon Japanese store. Some of these songs were intended for World 1-2 and a few for In Flux. My vision for both albums was shifting regularly, and eventually I ended up with tracks that were fun and good but didn't fit the image and style I was shooting for with In Flux. So, in a way, these are In Flux B-sides; tracks that were done in the production period but didn't make it through. I figured it's a good occasion to release them to our listeners and let them enjoy a slightly different side of Brave Wave.